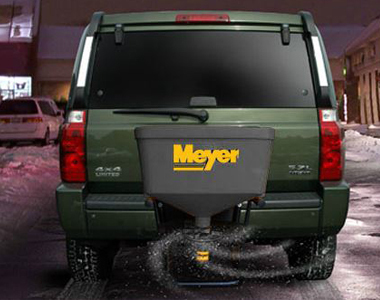 Carry even more material than the Baseline 240 with this Meyer Baseline 400 Salt Spreader that easily hooks up to an SUV, truck, or utility vehicle with a 2 inch receiver hitch. Control the spreader width pattern and speed form the in-cab controller, without stepping into the cold. Get all the power you need with the Direct Drive 12V motor that offers clump-free performance. And, off-season storage is made easy with the integrated storage stand. 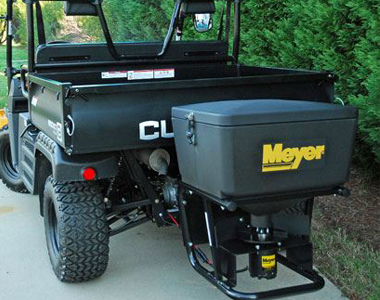 Hopper Capacity: Carry up to 400 lbs. of material in the 6.3 cu. ft. hopper for less fill up times. Materials: Spread bagged Rock salt with this spreader. Spread Width: Spread 3-25 feet to cover larger areas. 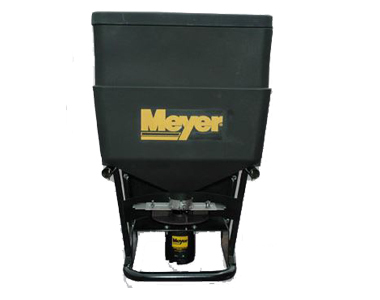 Vehicle Applications: Attach this spreader to a Class 1, SUV, or Utility Vehicle with a 2 inch receiver hitch mount. 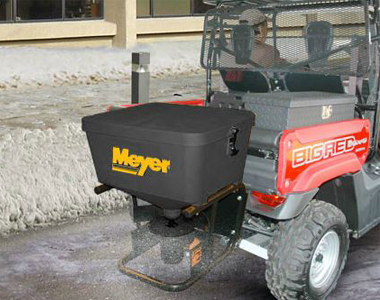 Motor Guard: Protect the motor during operation for durability. Integrated Storage Stand: Storage is made easy with the integrated storage stand. In-cab 2 Speed Controller: Precise spread pattern is available with the 2 speed controller that provides a spread pattern up to 25 feet. Durable Construction: Feel protected with the hopper being made of high-density, rust-proof polyurethane, and the frame designed carbon steel. 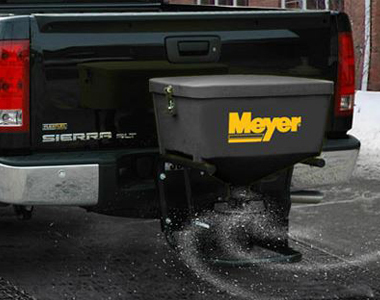 Ask us about the Meyer Base Line 400 Tailgate Salt Spreader . Please no repair questions. Your Q&A may be posted to SnowblowersAtJacks.com to help other shoppers, like you, with their purchasing decisions. Thank you. Add options now for your Meyer Base Line 400 at a 1 time discounted price. When you are ready to check out, just click the ADD TO CART button.